Onkyo & Pioneer Corp transfers its European operation to Aqipa | What Hi-Fi? All business activities (sales, marketing, customer support, distribution and spares) will transfer with effect from 1st October 2018. Onkyo & Pioneer Corporation 'has agreed the transfer of all its hi-fi and home cinema brands' business activities to Aqipa GmbH of Austria. This includes the Esoteric, Integra, Onkyo, Pioneer and TEAC brands. The asset deal, estimated at around €140m in revenue, sees the Austrian distributor take over every aspect of Onkyo/Pioneer's European operation. 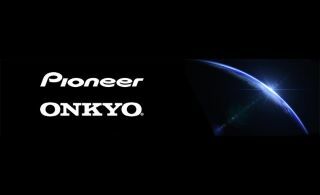 "We are really excited that Pioneer and Onkyo Europe and all its related brands... as well as all their European employees, will be joining the Aqipa family. The brands will coninue to bring great products to market while we will deliver heightened brand awareness", said Aqipa CEO Christian Trapl. Aqipa GmbH was founded in 1990, and focuses on marketing and distribution of premium consumer electronics products throughout the world.